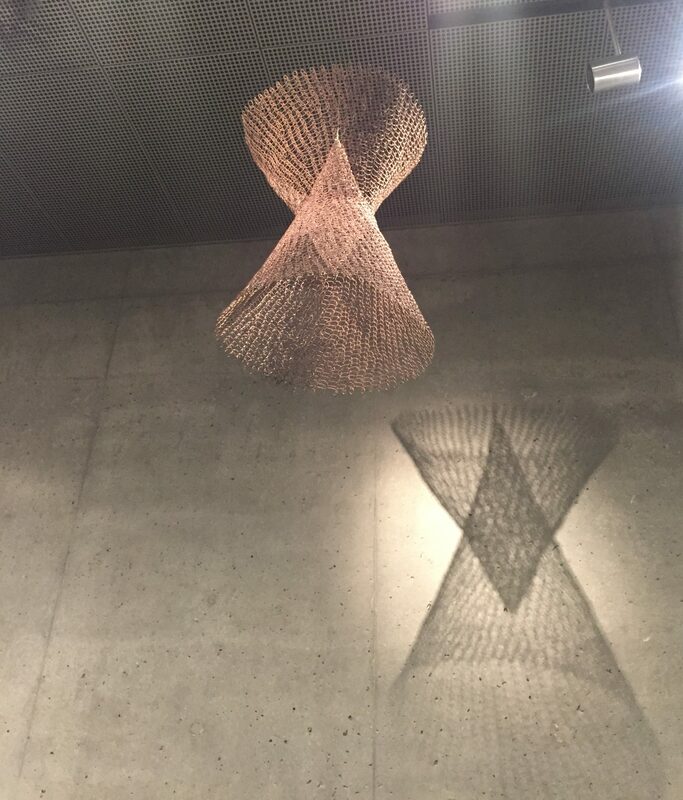 I’ve been fortunate to encounter Ruth Asawa’s work several times over the last few years. I enjoy it–a lot!–but have never written about her. The visit to the de Young Museum in San Francisco provided the decisive impetus. I knew she was American, but I didn’t realize she was born in California. She lived and worked in San Francisco for much of her life. 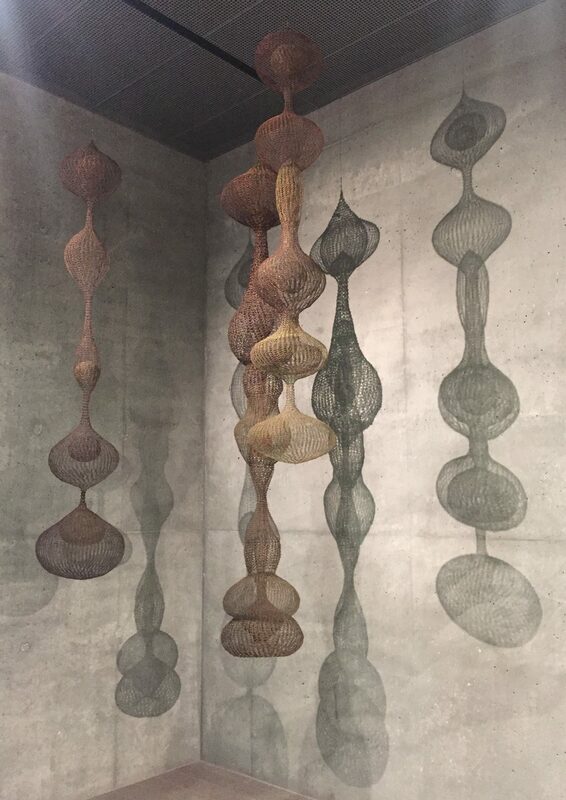 Ruth Asawa is probably best known for her sculptural wire hangings, but her œuvre is extensive. She died in 2013, and her family/estate maintain an informative website. I shouldn’t have been surprised to learn that she studied at Black Mountain College with Joseph and Anni Albers, Merce Cunningham and Buckminster Fuller. I was sad to learn that she was interred during World War II and delighted to read she was good friends with Imogen Cunningham, who left gorgeous photographic images of Asawa. Best of all, perhaps, was learning about her arts activism, particularly in the area of public arts education. Not only did she co-found the Alvarado School Arts Workshop (an innovative ‘artists and gardeners in the public schools’ program) in 1968, but she also helped establish a public arts high school, now known as the Ruth Asawa San Francisco School of the Arts. A child can learn something about color, about design, and about observing objects in nature. If you do that, you grow into a greater awareness of things around you. Art will make people better, more highly skilled in thinking and improving whatever business one goes into, or whatever occupation. It makes a person broader. I think that I’m primarily interested in making it possible for people to become as independent and self-sufficient as possible. That has nothing really to do with art, except that through the arts you can learn many, many skills that you cannot learn through books and problem-solving in the abstract. 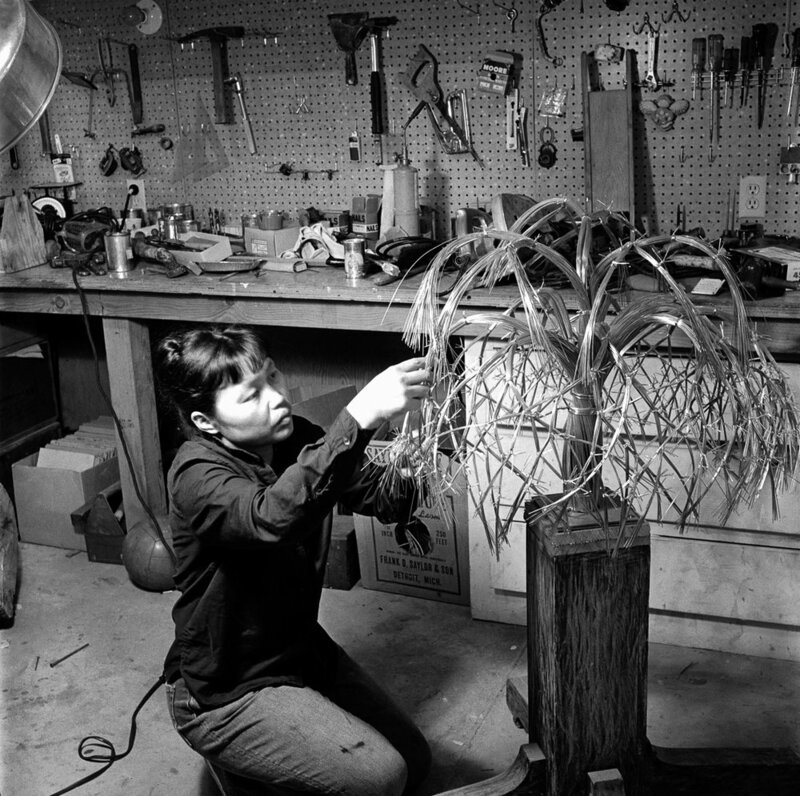 Ruth Asawa’s legacy is impressive. Imagine how many people she has influenced, both through her arts education initiatives, and her large body of work. This entry was posted in Black Mountain College, de Young Museum, Imogen Cunningham, Ruth Asawa and tagged Black Mountain College, de Young Museum, Imogen Cunningham, Ruth Asawa on December 10, 2017 by terryvatrt.